Total Workshop search results: 43. Displaying Page 1 of your woodworking search phrase CHILDRENS DESK. Build this beautiful kids desk with storage using these free woodworking instructions. You can modify the height of the desk if you are building it for an older (bigger) kid. Link Type: free plans | Link Source: AbbottsAtHome | Visit the category | Fix Link? 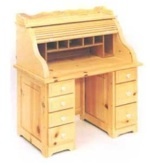 Build a house shaped childrens desk perfect for crafts and coloring. Free plans at the link. Link Type: free plans | Link Source: AnaWhite | Visit the category | Fix Link? This wall mounted drop down desk is perfect for a childs room. Just fold it up when not in use. Link Type: free plans | Link Source: RainOnATinRoof | Visit the category | Fix Link? All pieces are cut from one sheet of 3/4 inch plywood. Each piece locks together - no fasteners are needed. Easily disassembles for flat storage. For ages 2 to 10. Work table measures 20 x 14 inches. We hope you enjoy our 3-in-1 children furniture piece, a combination design of rocker, highchair and desk. With no moving parts, this sturdy piece of furniture can be constructed from 3/4 inch thick plywood material (or solid lumber). You can easily narrow or widen the width of the project to accommodate 1 or 2 children. Measurements provides are for the highchair, its play area (tray surface) is 32 inches off the floor. This child size bedside table could actually double as a desk as well. Build it using these free woodworking plans. 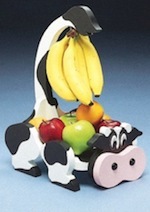 Link Type: free plans | Link Source: JenWoodhouse | Visit the category | Fix Link? Build this child size desk with built-in seat using these free step-by-step woodworking plans. Link Type: free plans | Link Source: DesignConfidential | Visit the category | Fix Link? Part of our childrens bedroom ensemble, featuring the same groove-and-panel construction and decorative arch details, its modest styling makes it a good fit in any setting. Another plan in this childrens collection is plan no. 31-MD-00217 students desk (sold separately). Here is a full tutorial on how to build industrial pipe shelves and desk for a childs room. Link Type: free plans | Link Source: Remodelaholic | Visit the category | Fix Link? Build a child size desk using these free woodworking plans. Link Type: free plans | Link Source: HomeDzine | Visit the category | Fix Link? Here is how to make a comfy hideout complete with built-in storage cubbies and a work surface for coloring or homework. Link Type: free plans | Link Source: BetterHomesandGardens | Visit the category | Fix Link? Build a childrens wall mounted, fold down desk with storage inside and a chalkboard on the outside. Here are the free instructions. Link Type: free plans | Link Source: RealityDaydream | Visit the category | Fix Link? This is a link to a Google 3D SketchUp drawing for a simple child size desk. You will need the SketchUp software to download this drawing and its freely available online. We do not provide support for this software. Not all drawings have the measurements displayed but you can use the measurement tool in SketchUp to easily and accurately determine the dimensions of each lumber part. Most drawings do not have instructions, its assumed you can build it based on the completed drawing provided. Turtle Writing Desk Woodworking Plan. Part of our childrens bedroom ensemble, featuring the same groove-and-panel construction and decorative arch details, its modest styling makes it a good fit in any setting. Another plan in this childrens collection is plan no. 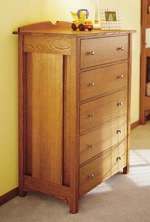 31-MD-00218 dresser (sold separately). 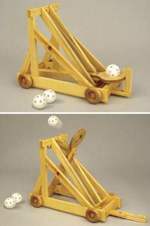 A real, working catapult in miniature for your desktop! Have fun launching small wiffle balls or ping-pong balls across the room, reaching a distance of over 18 feet! These plans help you build a 34 inch tall child sized roll top desk. Imagine having all the nooks and crannies this desk has when you were a child! Lots of storage for little treasures is sure to build imaginations and make this fine piece of furniture an instant favorite as well as an heirloom. View the Larger Image Slideshow for pictures of the actual plan. This is a great space saving unit. Chalkboard has drawers for supplies and a pull out for when the child wants a desk. Project measures 18 inches deep at the base. This is a vintage woodworking plan. Visit our FAQ page for a full definition. View the Larger Image Slideshow to see the actual item you are buying. Build this child size desk with these free woodworking step-by-step instructions. 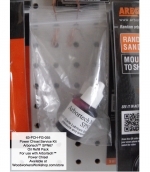 Link Type: free plans | Link Source: HandymanWire | Visit the category | Fix Link?